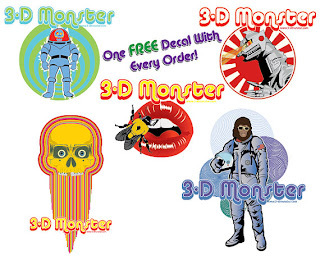 3-D Monster: Any Celebrities Out There? 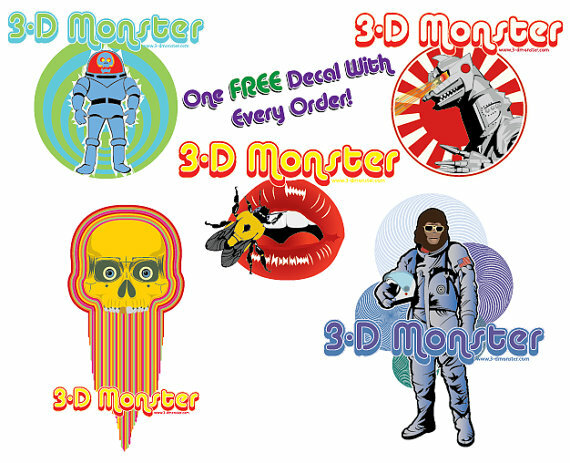 Hey guys - as you all know, I'm trying to turn 3-D Monster into a worldwide phenomenon, and I need your help! Are any of you, my wonderfully faithful readers, what most people would refer to as a "celebrity"? I'm asking because I want to give you a free shirt and lotsa stickers in exchange for a picture of you wearing the shirt and permission to use it on my site. I would also be happy to promote whatever project you would like promoted as an extra bonus! Word on the street is that people want what famous folk have, so I figure that if someone famous is wearing one of my shirts, maybe lots and lots of common folk, or, "serfs" will actually buy my shirts! Pretty nifty, huh? 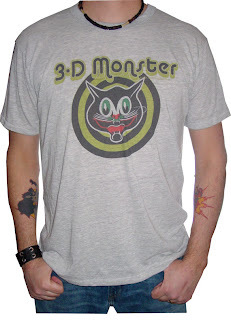 Also, if any of you know any celebrities, and can twist their arms into wearing and being photographed in one of my shirts, then that's a free shirt and stickers for you as well! Are ya willing to HELP A BROTHER OUT?!? I'm famous in my own mind. Thanks guys, but I was thinking of someone a bit more... Mainstream. I sent an email to Will Wheaton yesterday, so hopefully he'll go for it. I have a few more in mind as well, so we'll see.